Source: Received in exchange for review. This is my honest opinion. Fate has brought them together. But will it also keep them apart? Having moved to a strange town, 17-year-old Joey Gray is feeling a little lost, until she meets a cute, mysterious boy near her new home. But there’s a very good reason why Tristan Halloway is always to be found roaming in the local graveyard. Perfect for fans of Stephenie Meyer and Lauren Kate, The Lost Boys is a magical, romantic tale of girl meets ghost. I could get lost in this book for hours. It takes me forever to read books over 500 pages on my Kindle. You know when the progress bar just isn’t moving up? Well, if the Lost Boys had been my first 500+ page book I wouldn’t have known. I couldn’t believe how into the story I got. I couldn’t believe how much I cared for this book and it’s characters. Let’s start off with Joe. Or should I say Joey. I am beyond glad that her name just became Joey in the book eventually because I really couldn’t get used to Joe for some reason. I don’t know why, it just wouldn’t stick. Plus I have always loved the name Joey, which probably helped. Now this isn’t really a spoiler, because it’s revealed very early on, but if you have a problem with minor minor (yep, that minor) spoilers (in fact it’s really not a spoiler in my opinion), do proceed to the next paragraph. I loved Joey’s power, I thought it was unusual and I would have loved for it to be featured in the book more often. There has definitely been a new book boyfriend added to the surprisingly limited list. It’s a tough criteria to match, alright? But Tristan, or should I say Tris, was awesome. He’s exactly what we don’t get enough of in YA fiction. He’s NICE and cares beyond deeply about Joey. He’s the aw factor amplified 100 times. Aw. In fact, I really liked all the characters. Seth, Tiffany, whom I was convinced I was going to HATE at the start of the novel (nah that didn’t last. She was pretty awesome too), Sam, Harry (who could forget Harry) and Josh. All the characters had their own cute little quirks and it made them seem a lot more realistic and relatable. As much as I liked Joey, her hot-headedness got on my nerves. This wasn’t such a major problem but it really annoyed me towards the beginning of the book. Speaking of things to do with characters that annoyed me, the dialogue. Really. I know how teens speak. I AM one. Nobody actually actually says, “Take a chill pill.” or at least any that I know. But who knows, maybe some do. I’m not dissing Tristan’s use of ‘swell’ though. That was cute. Something that totally surprised me, was that the paranormal bit seemed to only really be a subplot. From the beginning I never would have guessed this. I thought that it was pretty cool that it didn’t override the story. All in all, this story was not at all what I was expecting. There was some elements that I did not see coming by a long shot and some that wereterrbily obvious. As much I adore Tristan. He had his issues. As in I had issues with him. For a good third of the book. If you read this or have read this, you will know what I’m talking about. There are no excuses. But he must have done something right because for some reason I have forgiven him. And what is this mythical reason for forgiving something so supposedly dreadful that you hear whispers of in the wind? They call it the loveliest ending I have read in too long. What I am totally confused about, was what on Earth was Vigil? All I got was something to do with a grey hood. Meh. I ended up liking Vigil anyway and was glad that he was in the story. There’s something that I have just discovered that I have not mentioned yet about Joey, that possibly can’t go left unmentioned. I loved the way she influenced those around her so much for the better. I thought this was great and I’d love to see another book with her in it. I was way to excited to discover the deleted scenes at the end of the book. They were pretty good and I’m glad they weren’t in the story because one of them would have made me feel differently about Joey, but if you are a fan of the story, you have to read them. I really enjoyed them anyway. I was glad for the second one because it made me understand this ‘tangerine’ business a little more. I highly recommend this book to anyone looking for a YA book that they can relax a little to and just want a good book to sink their teeth into. I will definitely be hoping to read more by Lilian Carmine. KABOOM! That only leaves one continent. One little flaw. 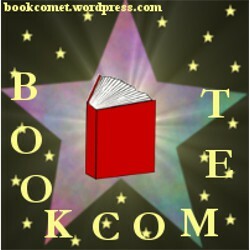 Lilian Carmine is the author of the popular Lost Boys Novels and graduated Bacharel of Visual Arts. 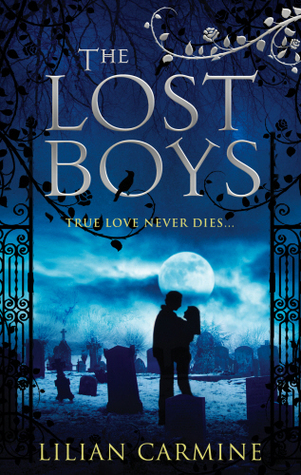 The Lost Boys Trilogy will be published by Random House UK – ebury Press, the first book of the trilogy released in October of 2013. Lilian is currently working as a freelance artist on illustrated children’s books, animation, and artistic creation – as well as the next book in her Lost Boys series.